Inspired by the measurements between a pre-existing starting line and what will be an enigmatic finish. More precisely, looking at the big picture to understand what it was before me and what it is now. At the same time, questioning is it here for satire? For remembrance? For honor? This is personal collection of original, untampered photographs and typewritten passages to reflect the thoughts represented by myself. 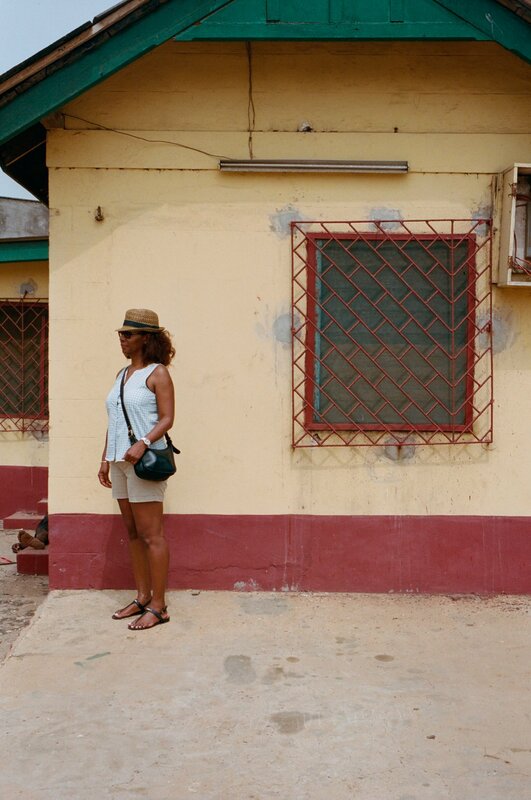 Shot in Ghana and typewritten in New York. Serving as a letter-sized notebook to capture the frame of mind at the time of my third journey to Africa. This book, very much like our history, is a construct built with permanent mistakes to honor the integrity of human misunderstanding. Mistakes are not designed to be replicated. Given that idea, quantities are limited.